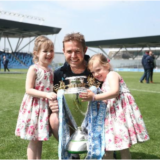 Dave Williams, Physiotherapist rejoined the team at Harris & Ross Physiotherapy Wilmslow and Wigan clinics following 8 years working in elite sport at the Manchester City F.C Academy. 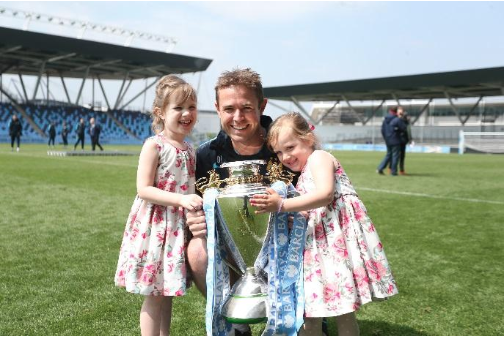 During his time at MCFC, he was lead Physio for the hugely successful Youth team boasting players such as Phil Foden, Jadon Sancho and Kieran Trippier amongst many others. Working in private healthcare allows practitioners at Harris & Ross to utilise expert surgeons such as Max in our continued delivery of elite care in the same way as at a sports club. The demands on any sportsperson in the groin region is huge but particularly so in football given the volume of change of direction work involved. The fact that there are 45 muscles which attach to the pelvis in a variety of directions gives us a snap shot of the different forces involved in this region. One thing that we used to frequently discover in football and the same in clinic now is that whenever people seemed to have pain or pathology in the hip and groin, there would be some kind of muscular weakness. There is strong evidence to suggest that reduced adductor strength is related to incidence of groin pain and yet people generally take the approach of stretching and releasing muscles (which may be relevant but not always) rather than combining this with a strength programme. A nice simple way to strengthen your adductors can be to follow the “Copenhagen Protocol” which has been shown to significantly improve the strength in the adductors (even when performed during mid season competition). This would start with 2 sets of 6 in week 1 done twice per week and volume increase weekly very gradually. By 8 weeks you should be competent to perform 3 x 15 twice per week. To perform the exercise, adopt the position shown below and bring the lower leg towards your weight bearing leg and lower it back down again. If this is too hard then just hold the position to start the strengthening process. This is of course only one dimension to a complex region of the body which quite often requires a more detailed assessment and rehabilitation programme.